McLean & Company's HR Stakeholder Management Survey is set up to apply to all organizations. Download a sample of the survey and report card you will receive from McLean & Company's core offering. A scorecard that annually measures the satisfaction of your key decision makers. No activity or project is more important than showing the company you care enough to measure their satisfaction once a year. 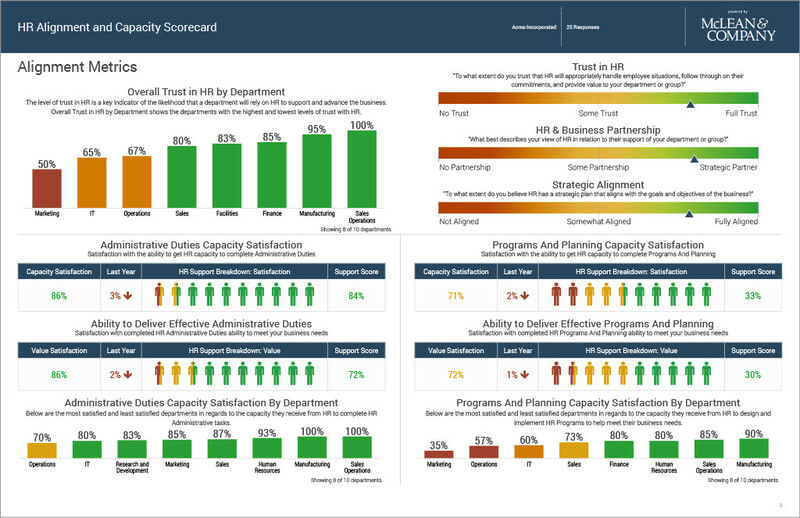 A capacity and alignment scorecard that summarizes the opinion of HR and HR’s ability to deliver on programs and tasks. The business often doesn’t realize the impact that investment in HR can have on the business. Prove that current demands and the potential for proactive development mandate increased investment in HR. 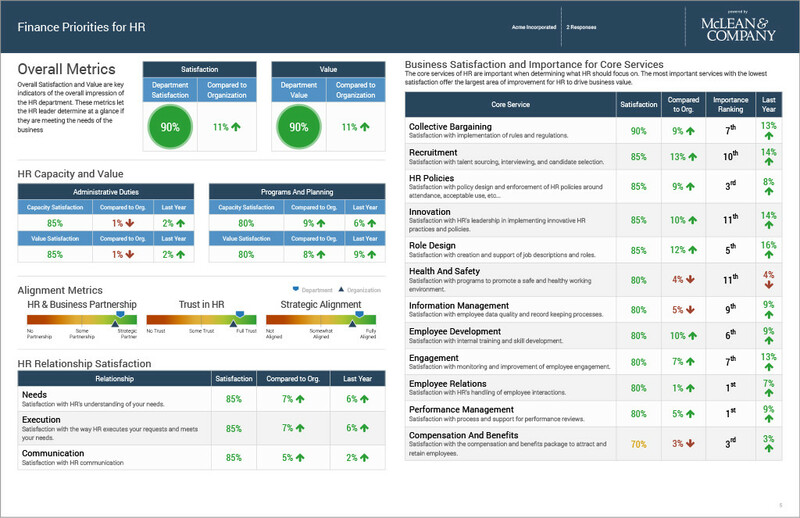 Individual department report cards that summarize satisfaction and alignment with HR for each department, compared against the company average. 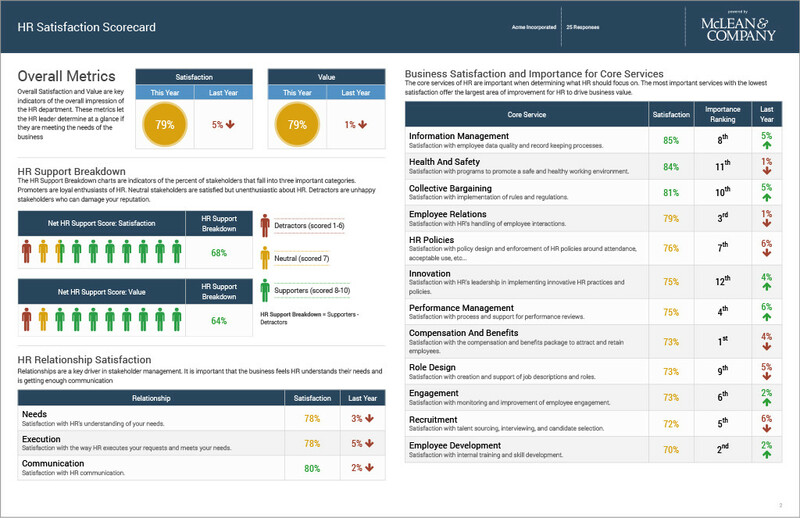 Individual department HR scorecards which measure each department’s satisfaction and alignment with HR. A view of all department results in one spot. 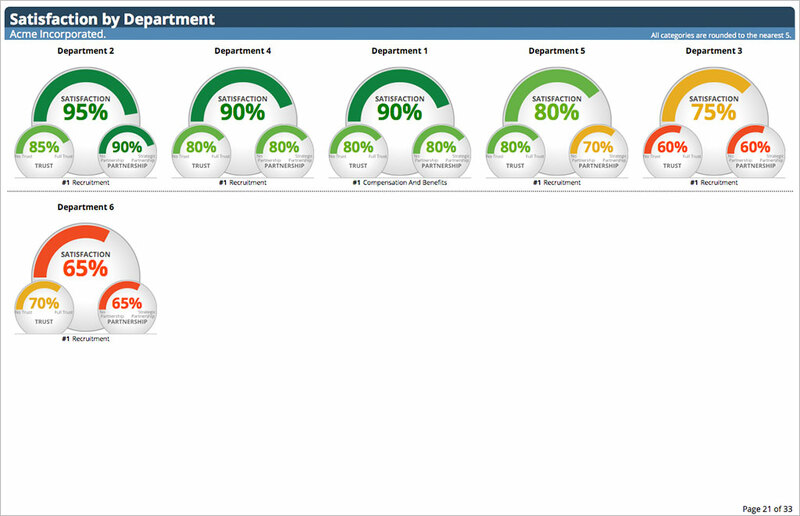 You can use this view to compare the departments by Satisfaction, Trust and Partnership scores.